Yves Engler examines Ottawa's escalation of its campaign against Venezuela. Requesting the International Criminal Court to investigate Venezuela’s government is a significant escalation in Ottawa’s campaign of interference in the domestic affairs of another country. Supported by five like-minded South American nations, it’s the first time a member state has been brought before the ICC’s chief prosecutor by other members. In Canada the campaign to have the ICC investigate the Nicolás Maduro government began in May. “I would like to see the states from the G7 agreeing to refer the matter of crimes against humanity to the International Criminal Court for a prospective investigation and prosecution,” said Irwin Cotler at an Ottawa press conference to release a report on purported Venezuelan human rights violations. 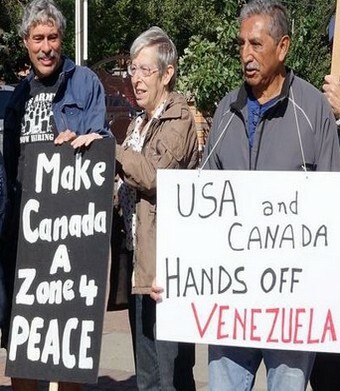 Cotler was one of three “international experts” responsible for a 400-page Canadian-backed Organization of American States (OAS) report on rights violations in Venezuela. The panel recommended OAS secretary general Luis Almagro submit the report to the Office of the Prosecutor of the ICC and that other states refer Venezuela to the ICC. 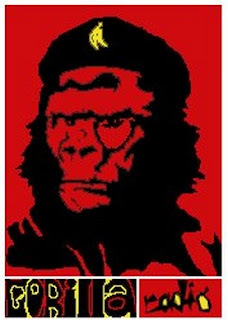 Worse than the extermination of the Taíno and Arawak by the Spanish? Or the enslavement of five million Africans in Brazil? Or the 200,000 Mayans killed in Guatemala? Or the thousands of state-murdered “subversives” in Chile, Argentina, Uruguay, Brazil, Peru, etc.? Worse than the tens of thousands killed in Colombia, Honduras and Mexico in recent years? 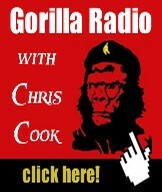 Worse than the countless US (and Canadian) backed military coups in the region? Or perhaps Almagro, who appointed Cotler and the two other panelists, approves of the use of military might to enforce the will of the rich and powerful. Even before he mused about a foreign invasion, the former Uruguayan foreign minister’s campaign against Maduro prompted Almagro’s past boss, former president José Mujica, to condemn his bias against the Venezuelan government. For his part, Cotler (right) has been attacking Venezuela’s Bolivarian government for a decade. In a 2015 Miami Herald op-ed Cotler wrote that “sanctions” and “travel-visa bans… isn’t enough.” The US government “must increase the pressure on Maduro to respect the fundamental human rights of all of Venezuela’s people.” The next year Venezuela’s obstructionist, opposition-controlled National Assembly gave Cotler an award for his efforts, notably as a lawyer for right-wing coup leader Leopoldo Lopez. A year earlier “Mandela’s lawyer” accused president Hugo Chavez of anti-Semitism. 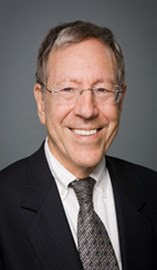 Cotler co-presented a petition to the House of Commons claiming an increase in state-backed anti-Semitism in Venezuela. At the time Cotler said Venezuela had seen a “delegitimization from the president on down of the Jewish people and Israel.” These unsubstantiated accusations of anti-Semitism were designed to further demonize a government threatening North American capitalist/geopolitical interests. Cotler was no doubt angered by Chavez’s criticism of Israel. In 2009 Venezuela broke off relations with Israel over its assault on Gaza that left 1,400 Palestinians dead. Beyond Israel, Cotler has made a career out of firing rhetorical bombs at the US and Canada’s geopolitical competitors and verbal pellets at its allies. Of course, it is not surprising to see such hypocrisy from someone leading a hypocritical Canadian campaign to destabilize and overthrow an elected government.